What is range bound market? Whenever a stock or index is trading between support and resistance it is called Range bound. There is no strong move in either direction. Prices tend to ping back and forth near old highs and then fall to prior lows. The range-bound movement usually occurs at the end of a large move as the bulls and the bears fight over the direction of the next move. Fibonacci Principle: In a range bound market trend reversal happens from 0.5 Fibonacci retrenchment level. ADX Indicator: A market is said to be ranging when the ADX is below 25.When the ADX value crosses above 25.00 from below, this indicates that the price is likely entering into a trend phase – bearish or bullish. Bollinger Bands Indicator: When the bands (14 period with SD 1) are thin and contracted, volatility is low and there should be little movement of price in one direction. However, when bands start to expand, volatility is increasing and more movement of price in one direction is likely. IV Skew: When the ratio is between 1.20 to 0.90, it shows period of price consolidation. In simple word, if nearest strike options of the underlying asset is having close similar IV. Strike Options PCR OI: When the ratio is between 1.30 to 0.80, Indicating market participants are confused and waiting for some confirmation on either side. Index PCR OI: Whenever PCR OI is in the range of 0.95 to 1.05 range, it indicates range bound market. What is the Best option strategy in Range bound market (as per Back-testing)? Calendar spreads: A typical long calendar spread involves buying a longer-term option and selling a shorter-term option that is of the same type and exercise price. For example, Sell Banknifty 30th Nov 25800CE/PE@320 and Buy Banknifty 28th Dec 26200CE & 25500PE@540. Iron Condor Strategy: To construct an iron condor, a trader would sell an out-of-the-money call and an out-of-the-money put, while simultaneously buying a further out-of-the-money call and a further out-of-the-money put. 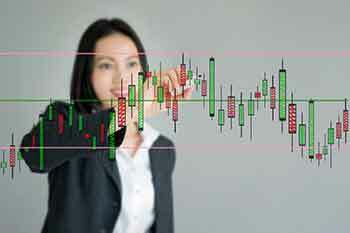 For example, Sell Nifty 30th Nov 10,400CE & 10,300PE@84 and Buy Nifty 30th Nov 10500CE & 10200PE@34. And Exit or Hedge only when Break-Even (BE) of strategy hit (If upper level BE hit, with fall in the IV of call option and If lower BE hit with raise in IV of call option). Remarks: A Range-Bound market is a period of price consolidation where the price action experiences sideways movement. And their are many ways to identify range bound market. But out of above indicator, the best indicator is "Strike Options PCR OI and IV Skew". Trader and investor are advised to do these complex option strategy after knowing their risk management through Derivative expert only.